In this third olfactory chapter, Maison Montblanc reveals an equally charismatic, but more mysterious side to this extraordinary gentleman. Clearing the path for an amber colour that is reminiscent of wood, the ultimate authentic material. A new magnetic and woody Eau de Parfum that reveals the charisma of the man who wears it. A sensual and reassuring note that features the fresh, lively opening notes of Bergamot, counterbalanced with the warm elegance of vetiver and the depth of black Vanilla. 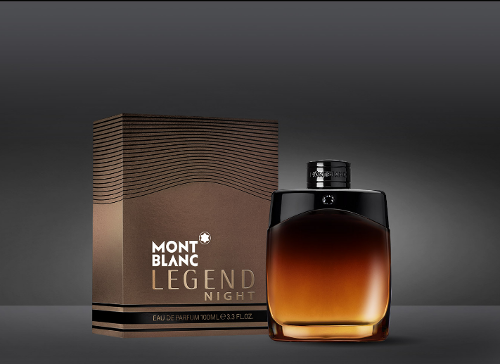 Montblanc Legend Night paints a top-flight olfactory picture with remarkable contrasts of light and shadow, mysterious and reassuring. 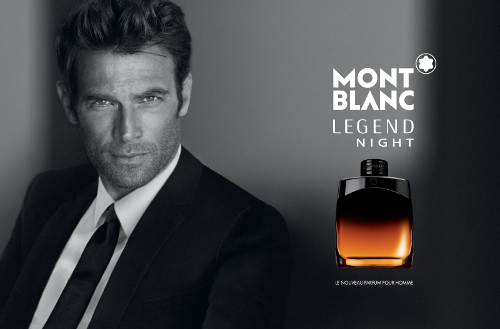 The Eau de Parfum brings out the elegance and aura of the Legend Night man. The aromatic notes of clary sage and peppermint, enhanced with cool spices; cardamom and sparkling bergamot, set the fragrance’s fresh and lively tone. The opening is bright, like the natural radiance of our man’s aura. The middle notes immediately counterbalance this first impression of refreshing coolness with their warm elegance. The precious scents of cedar wood blend well with the floral lavender tones, a classic in men’s fragrances, and slightly powdered violet. A woody and oriental fragrance.